The Manor House was probably built by Samuel Savage circa 1775. It was formerly known as Stanhopes (recorded in 1825). The rearward extension dates back to the early 19th Century. This extension incorporated 15 Century timbers; recycling is not something new! 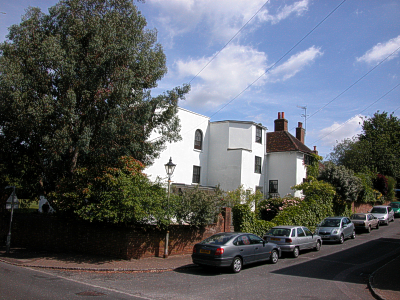 Further red brick additions were made in the 19th Century and in the 1920s. Sections to the South of the house were demolished to make way for access to the housing development known as Stanhopes. The exterior is now rough-cast but this was not the original finish. 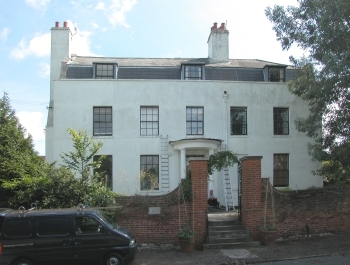 There is evidence that the construction was commissioned by the Stanhope family, well known in the area for Chevening, Kent, official residence of the Foreign Secretary. The Stanhopes had strong connections with the Leveson-Gower family. The Manor House was not a manor house per se in that there was no Lord of the Manor and no Manor Estate lands. A remarkable and touching story. 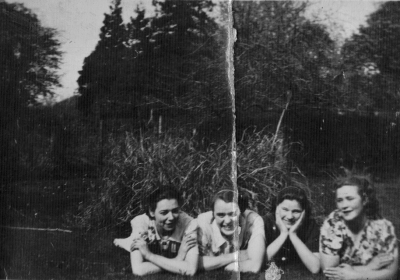 A reader has sent in the story of her grandmother who was in service at Manor House School just before World War II. 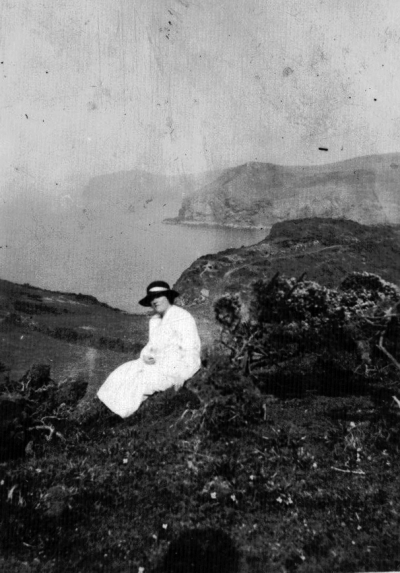 Read below extracts from e-mails between the Web-master and Mary Anderson-Glenna. 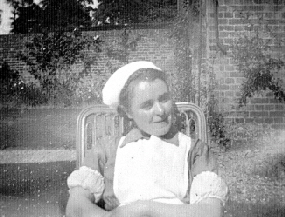 May (Mary) Griffin at Manor House School. My Gran worked in the Manor House School 1938/39 just before she got married. Her name was May (Mary) Griffin (May 1916 - Sept 2005). She talked about it until the day she died saying that it was the happiest time of her life. 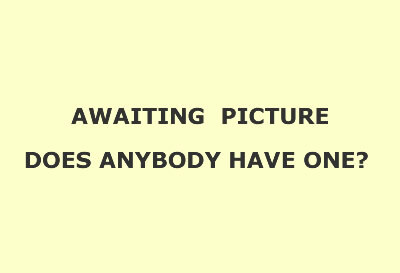 I would really like to see a photo of the school. Do you have one you could e-mail me? (W-M. done) I have tried to find information on the net but its impossible; Which I am surprised about as Winston Churchill’s daughters went there! I really hope you can help me. I know that two of his daughters went there, one of them while my Gran was a maid there. If you have a look at this page (unidentified) then you will see Churchills’ accounts for 1938 and fees paid for the manor house school Limpsfield! Seems they didn’t live too far away, my Gran talked about her mother coming to pick her up. When Winston came the servants and other workers were all lined up outside the school. The school Housekeeper was Ms. Grimble. That’s about all I know. My Gran came from Ireland in 1937 to work at the Manor House School and stayed there till she left to get married in Nov 1939. She went back to Ireland 6 months later. For about 30 years they livid in Birmingham, returning after the war and my Mam followed when she was 15 but they all moved back to Ireland in the 70s again. 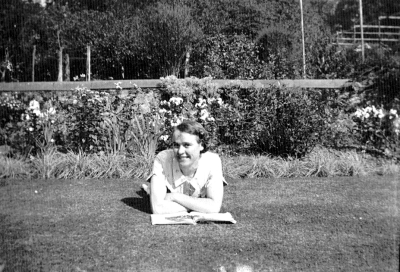 Up until her death in September 2005 my Grandmother, May (Mary) (Griffin) Houston , always maintained that the happiest days of her life were spent working in the Manor House School in Limpsfield. In 1937, from her home in Stranorlar, Co. Donegal, Ireland she travelled to Limpsfield with her friend and co-worker Det Houston at the age of 21 on money borrowed from her older brother. Her job as a parlour maid at the school among other things required her to announce visitors to the Principal Ms. Fellows. Indeed a number of well know families had children attending the school including Sir Winston Churchill’s daughter Mary (while my Gran was there). Diana Hope Rowden had attended the school in the early 1930’s. They had one day free every second week, but this was fine for them as all the servant girls enjoyed working there and were well fed and very well treated. When the pay was handed out once per month my Gran would go to the local post office and send most of it home to her mother. 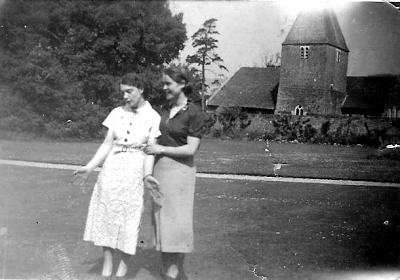 There are a number of photos from her time at the Manor House School, some showing St. Peters Church in the background, others showing the tennis courts, swimming pool and gardens around the school. 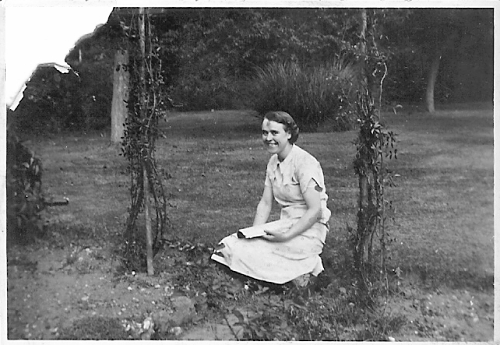 The housekeeper Ms. Gribble and one other worker Queenie James were the only two others that my mother could remember of names of (people) in these photos. My Gran left the Manor House School the morning of her wedding in November 1939 not to return. Before she left she was called to Ms. Fellows who said ‘May, how nice you look’ and ended with the words ‘the Manor House doors are always open to you’. These words remained with my Gran throughout her life. The Manor House School was closed or moved during the war for fear of the young girls’ safety, with Croydon aerodrome a short distance away. My Gran was taken back to Limpsfield in the 1960’s but knew no one at the school then, not teachers nor servants. This picture seen by the Web-master shows the Manor House as it was in 1906. The construction with the chimneys to the right was demolished to make access to Stanhopes Housing Estate. 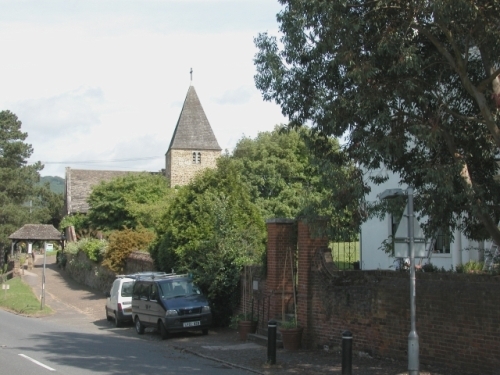 Looking North showing St. Peter’s Church and the Manor House on the right. Manor House West elevation where the ‘chimneys section’ was demolished to make way to Stanhopes. Buildings at the rear of Manor House, partly constructed with 15th C timber. Ms Fellows. Principal of Manor House School. Have you any idea where this picture was taken? 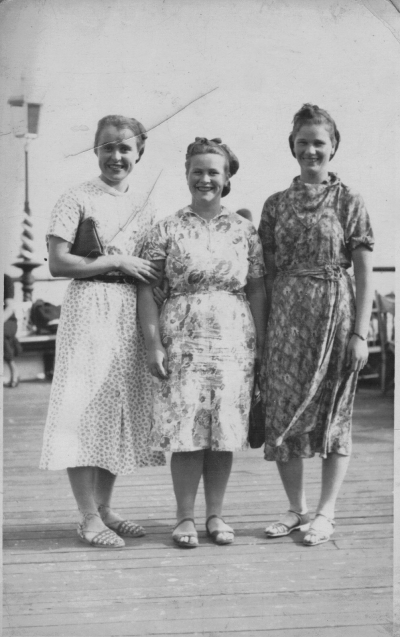 May Griffin, Queenie James and an unidentified friend. I am related to a former owner, Edward Morton Daniel, solicitor of Melksham, Wiltshire, who inherited the house in 1845 from Charles Stanhope, (1760-1845) retired barrister of Clapham (nr Worthing, Sussex), to whom he was related by marriage. Charles's mother was Eugenia Stanhope (1730-1783) who purchased the house not long after 1774, the year she famously published her father-in-law Lord Chesterfield's Letters to his son. She left the house to her younger son Philip, also a barrister, who died in 1801 aged 36, and it then passed to his brother Charles. He was the last survivor of this branch of the Stanhope family and he bequeathed it at his death in 1845 to E.M Daniel, who sold it in 1850 to William Leveson Gower the younger of Titsey Park. E.M Daniel's aunt Elizabeth Daniel was the wife of Philip Stanhope, and I believe they lived at the Manor House after their marriage in 1790. 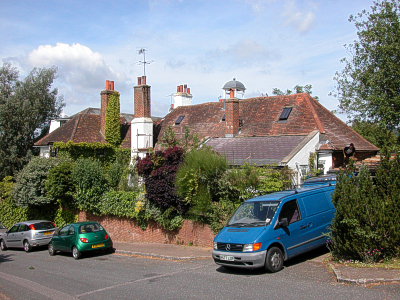 The Stanhopes of Chevening, Kent were distant cousins of Charles and Philip Stanhope, and I don't think they had any connection to the house at Limpsfield. Your article says that there is evidence that the construction of the rearward section dating back to the early 19th century was commissioned by the Stanhope family. Can you tell me more about this please?